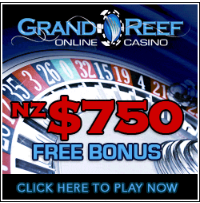 There are some brands in the online casino world that are very popular among players. Monopoly is one such brand, which is why we tend to see so many online pokies based on the classic board game. Now, GameSys is taking things one step further by launching a whole new casino based on Monopoly. The new Monopoly Casino will be powered by GameSys and Scientific Games. It will feature a wide range of slots based on the board game, along with some table games that include elements from Monopoly. Every aspect of the site has been designed with the Monopoly theme in mind. Even the bonuses are based on the board game, as there is a Free Parking Slot. This is a free slots game that changes every day, so players can test out a great new game on a daily basis. There are also Community Jackpots (based on Community Chest), which offer players the chance to cash in on life-changing prizes. GameSys’s new Monopoly Casino has been specifically designed for mobile devices like tablets and smartphones, so players can take this new gambling destination with them wherever they go. However, there is also a desktop version that players can access from the comfort of their own homes. Monopoly Casino is currently only licensed in the United Kingdom, and we hope that it will be launched in other markets around the world soon.